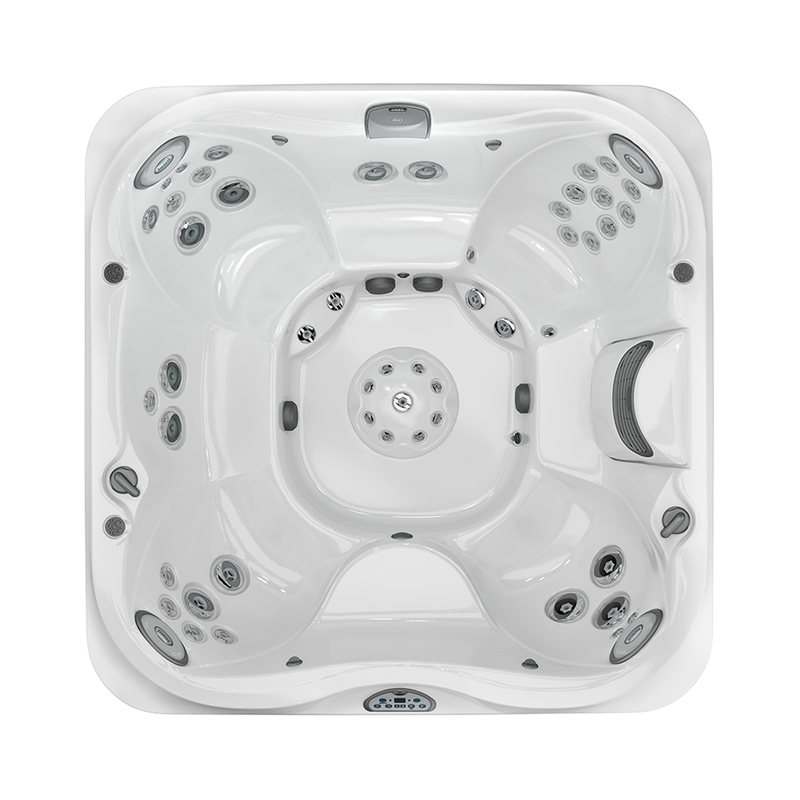 The Jacuzzi® J-385IP™ hot tub is the flagship model of the J-300™ collection, with plenty of room for up to 6-7 adults. It boasts PowerPro® Therapy Seat and prime PowerPro® Jets, including 20 FX Jets and a jetted foot dome. A soothing waterfall that cascades down your neck and shoulders and LED-illuminated footwells, pillows and cup holders round out this star model of the Collection. To further enhance your backyard oasis, an array of beautiful hot tub accessories is available from the Jacuzzi Exclusives™ line. If you’re looking for a hot tub that offers the finest in luxury hydrotherapy, the J-385IP™ is perfect for you. Simply step in, relax and enjoy.